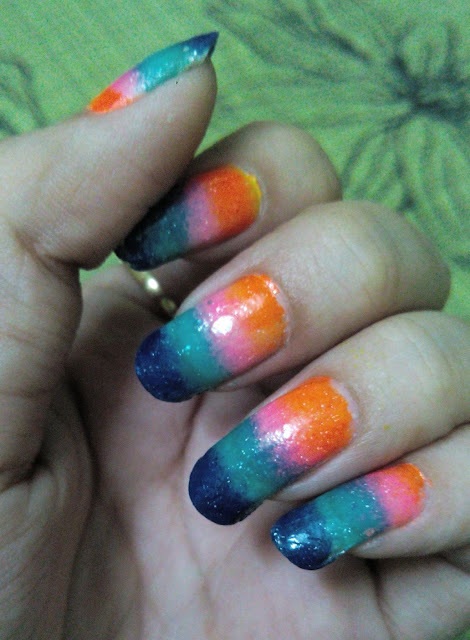 DIY NailArts: 2. The colour magic! Here is my next art for you. I hope you will like it! 3. 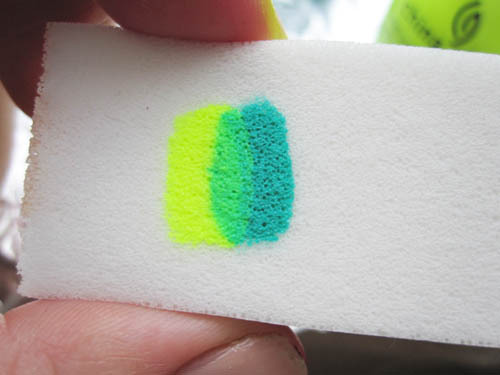 Take a sponge and brush these four colours in vertical direction as shown in the image. of nail art. Here I have taken Orange, Dark Green, Pink and Navy Blue. 4. Take the sponge and dab it on your finger nails like a stamp. Do this step twice or thrice. 5. Apply any kind of sparkle nail paint/ transparent nail paint. 6. After the art is done, let it dry and put a thick layer of transparent paint on your nails to safeguard the art. If you liked this art, stay tuned for my next art on next Saturday. Comment your reviews on this. You may also follow me on facebook, Jyotsna Nail Arts. You can also follow the below blog for awesome photographs.